Turkish President Recep Tayyip Erdogan still “has good expectations” over the fate of Saudi journalist Jamal Khashoggi. Erdogan on Sunday said in Ankara that he hoped to avoid an "undesirable situation" regarding the missing Saudi journalist. “I still have good expectations. I hope not to come across a situation that is undesirable.” Jamal Khashoggi, journalist and regular columnist for the Washington Post, has been missing since he entered the Saudi consulate in Istanbul on October 2. Turkish police investigating the case had said in a statement Saturday that 15 Saudis, including several officials, had arrived in Istanbul on two planes and had entered the consulate while Khashoggi was inside. Erdogan said he was following the ongoing developments. “Whatever comes of this, we will be the ones to declare it to the world,” he added. The Turkish police in Istanbul have been keeping an eye on the comings and goings at the Saudi consulate since the time, according to the journalist's fiancee - Khashoggi entered the building. Tunisian human rights and press freedom organizations condemned the apparent disappearance of the journalist in Istanbul and held the Saudi government responsible for his safety. Saudi journalist Khashoggi, who has written columns in the Washington Post critical of the Saudi government, has been missing since visiting the Saudi consulate in Istanbul on 2 October. In a joint statement on 4 October, ten Tunisian organisations working in the field of freedoms and human rights demanded that the Saudi authorities "clarify Khashoggi's situation", according to Nessma TV. Journalist Jamal Khashoggi is known for his writings and criticisms of Saudi policies since Prince Mohammed bin Salman became crown prince. Since the start of military operations in Yemen, led by Saudi Arabia, the country has tightened its grip on media outlets and a wave of arrests has plagued many activists. Saudi Arabia's ambassador to Turkey told a Turkish Foreign Ministry official on 4 October that his country did not have any information regarding Khashoggi's whereabouts. Turkey has concluded that Jamal Khashoggi, a prominent journalist from Saudi Arabia, was killed in the Saudi Consulate in Istanbul last week by a Saudi team sent “specifically for the murder,” two people with knowledge of the probe said Saturday, according to The Washington Post. Turkish investigators believe a 15-member team “came from Saudi Arabia. It was a pre-planned murder,” said one of the people. Both spoke on the condition of anonymity to discuss the ongoing investigation. 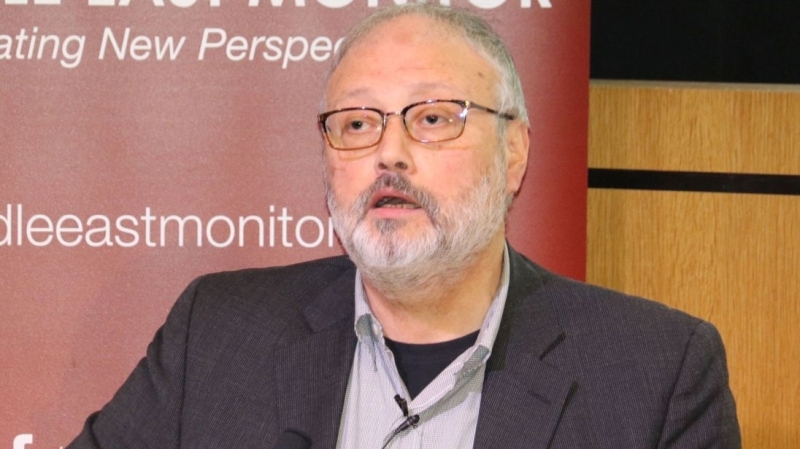 Saudi Arabia had vehemently denied that Khashoggi, who contributed to The Washington Post’s Global Opinions section, was detained after he entered the mission. In an interview with Bloomberg News last week, Crown Prince Mohammed bin Salman said Khashoggi had left the consulate shortly after he arrived Tuesday. Saudi officials have yet to provide any evidence for that assertion. “I would like to confirm that. . . Jamal is not at the consulate nor in the Kingdom of Saudi Arabia, and the consulate and the embassy are working to search for him,” the consul-general, Mohammed al-Otaibi, was quoted as saying, the same source said. Fears are growing over the missing Saudi writer Jamal Khashoggi, after Turkish officials said they believed he had been murdered, the BBC said. Mr Khashoggi, a Saudi national, was last seen visiting the Saudi consulate in Istanbul on Tuesday. A Turkish official told the BBC that initial investigations indicated he was murdered there. Saudi Arabia has denied the accusations, saying it is "working to search for him". Mr Khashoggi has contributed articles to the Washington Post's opinion section. The Post said it would be a "monstrous and unfathomable act" if he had been killed. An official of Turkey's ruling AK Party told broadcaster CNN Turk there was evidence in the case, although none has yet been presented. "Jamal is not dead. I cannot believe that he has been killed...!" Ms Cengiz wrote in a Twitter post that included a photo of Mr Khashoggi. She added that she was waiting for official confirmation as the allegations circulated. Turkish officials said Mr Khashoggi was killed on the premises and his body was then removed. Investigators said a 15-person team arrived at the consulate on Tuesday, returning to Riyadh the same day. The head of the Turkish-Arab Media Association, Turan Kislakci, told the New York Times that Turkish police officers providing security for the consulate had checked their security cameras and did not see the journalist leave on foot. But he added that diplomatic cars had been seen moving in and out. Saudi Arabia said the allegations were baseless. It has allowed reporters into the consulate to show Mr Khashoggi is not there. On Wednesday, Crown Prince Mohammed bin Salman told Bloomberg News that Turkish authorities were welcome to search the building because "we have nothing to hide". The prince said the Saudis were "very keen to know what happened to him", saying his understanding was that Mr Khashoggi left "after a few minutes or one hour". When asked if Mr Khashoggi faced charges in Saudi Arabia, the crown prince said his country would need to know where he was first. This is a bombshell allegation by Turkey. And while the authorities here are so far not providing evidence to back it up, it's inconceivable that such a claim would have been made without firm grounds. Ankara's relationship with Riyadh is too important to jeopardize on the basis of unsubstantiated rumor. That relationship is already strained over several issues, including Turkey's support for Qatar in the blockade by Saudi Arabia; its closeness to the Muslim Brotherhood - blacklisted by Riyadh as a terrorist organization; and its rapprochement with Saudi Arabia's arch-rival Iran. But if proven, the murder of Jamal Khashoggi would be the most serious diplomatic crisis between the two in living memory. Turkey would hope for backing from its Nato ally, the U.S. But Saudi Arabia has arguably become Donald Trump's closest ally in the Middle East - and Washington may be reluctant to weigh in against Riyadh at this stage. He is a high-profile critic of the crown prince. Mr Khashoggi, 59, has more than 1.6 million Twitter followers and has written for the Washington Post opinion section. The crown prince has unveiled reforms praised by the West while carrying out an apparent crackdown on dissent. Human and women's rights activists, intellectuals and clerics have been arrested - meanwhile, Saudi Arabia is waging a war in Yemen that has triggered a humanitarian crisis.